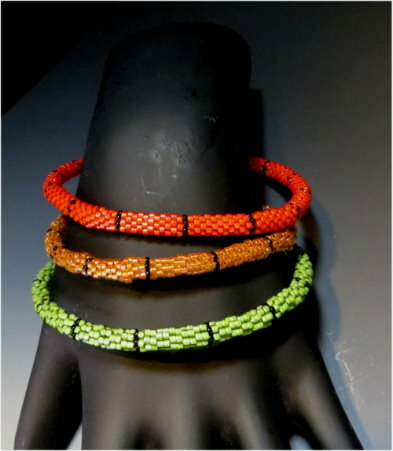 Click the button below to add the PEYOTE 1-2-3 BANGLE CLASS (class fee; kit purchased separately) to your wish list. To learn one-drop, two-drop and three-drop peyote. To learn how to use an armature.